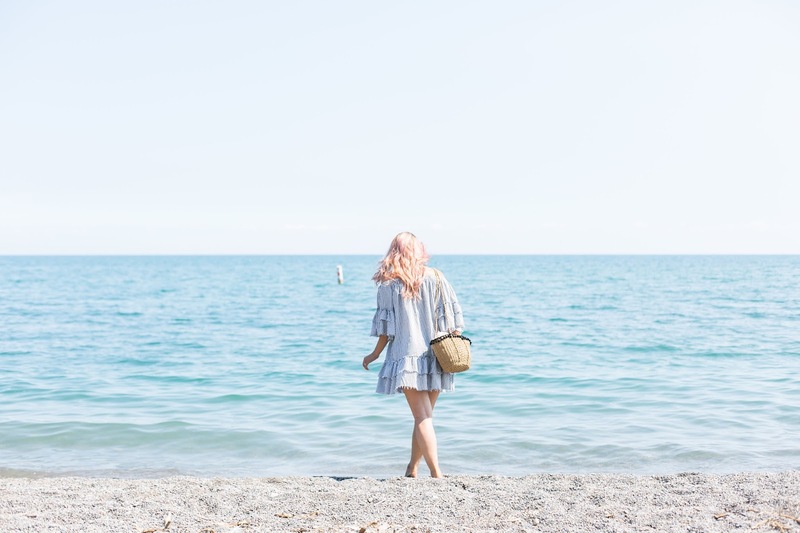 July 2017 | La Petite Noob | A Toronto-Based Fashion and Lifestyle Blog. Have you ever been to a lavender field? 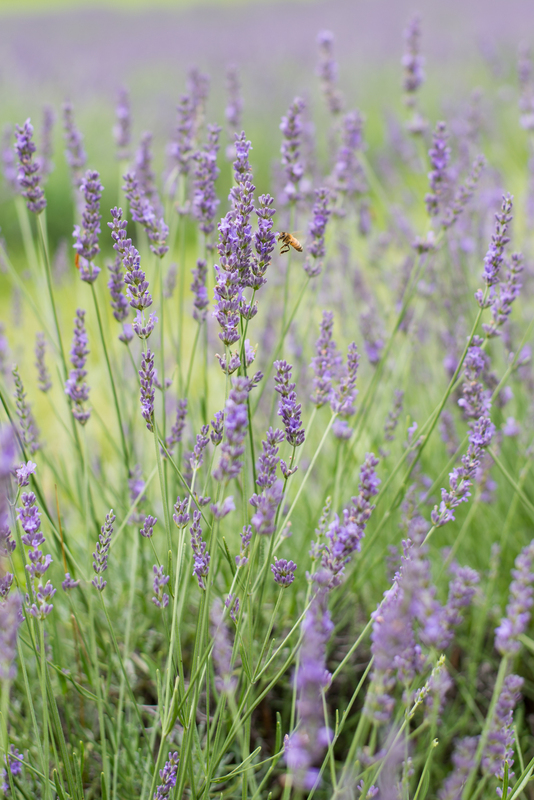 I myself went to Terre Bleu Lavender Fields in Milton this past week for the very first time, and now want to make this mini-adventure a yearly affair. There's something so magical about walking along a sea of purple, smelling lavender and hearing the gentle hum of bees flying from petal to petal (and that's saying something, since typically I absolutely hate bugs of any kind!) If you're thinking of visiting a lavnder field this year, definitely check out my friend Krystle of Dine and Fash's comprehensive guide to the lavender fields of Ontario, grab a friend and your camera and just go. For this particular trip I chose to wear a new piece to my closet, this maxi romper from Morning Lavender. I love that this is half romper, half maxi dress; the shorts make it so I can move around easily, and the large train at the back catches the wind and creates great movement. I also can't seem to get enough of the off-the-shoulder trend for summer, so I'm glad that this piece incorporates that detail. As much as I love the city, and living in Toronto, sometimes it feels good to escape for an afternoon. Have you been to the lavender fields? What's your favourite place to go outside of Toronto? Let me know! Stepping into the world of blogging can be intimidating - I remember the experience myself all too well. It's one thing to announce to the world wide web that you're starting your own blog and sharing ideas; you feel shielded in the safety of how big the online world can be and comforted by the fact that you can remain relatively anonymous. It's a totally different situation when you start getting engaged in local blogging culture. All of a sudden you're face-to-face with an already-established community that you're required to insert yourself into, and your quiet little online sanctuary becomes your real-life link to this new world. I still remember when I first started attending blogging events in Toronto. Back then the community was much smaller and, as a result, much more difficult to break into. My first few events were painful to say the least, as I may as well have been invisible. I started to bring friends with me, my mom even in some cases, and while that made things easier it was still hard to get a conversation going with other bloggers. Most girls were friendly enough when approached, but rarely initiated an interaction and almost everyone greeted me with a blank stare when I introduced myself - which was confusing, since we would like and comment on each others Instagram photos! The worst situation happened at an event that I attended with another new blogger. We were so excited to be at a fancy hotel, at an event put on by a large brand! We approached a small group of three girls, one of which we both already knew, and started chatting excitedly with them. While the girl we knew was all to happy to sit and chat, I noticed that the other two girls remained silent. When there was a break in the conversation, one of the two silent girls turned to the other and said "isn't it nice that they're starting to let new people into these things?" The two girls started laughing, turned and walked away. My friend and I were left silent, stunned and embarrassed. After that one experience, things started to get better. I started to meet more new bloggers and we became friends. 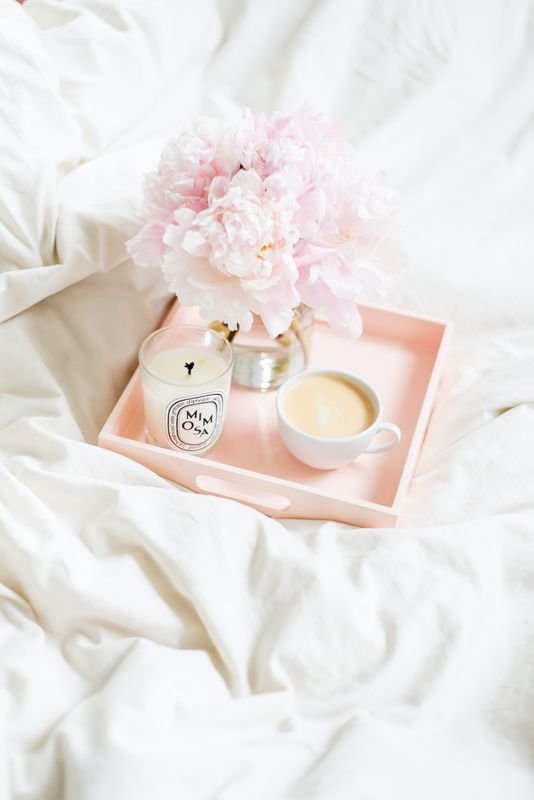 Slowly more and more new people became interested in blogging and joining the industry - girls who were graphic designers, photographers or just naturally gifted in their own right. The quality of work that these new bloggers brought to the table was incredible, and slowly not only did the blogging community start to grow, but the bar for content began to raise. I'm always constantly in awe of what talent that comes from our community of bloggers, and am excited to see how this talent will shape and mould the industry in the coming years. 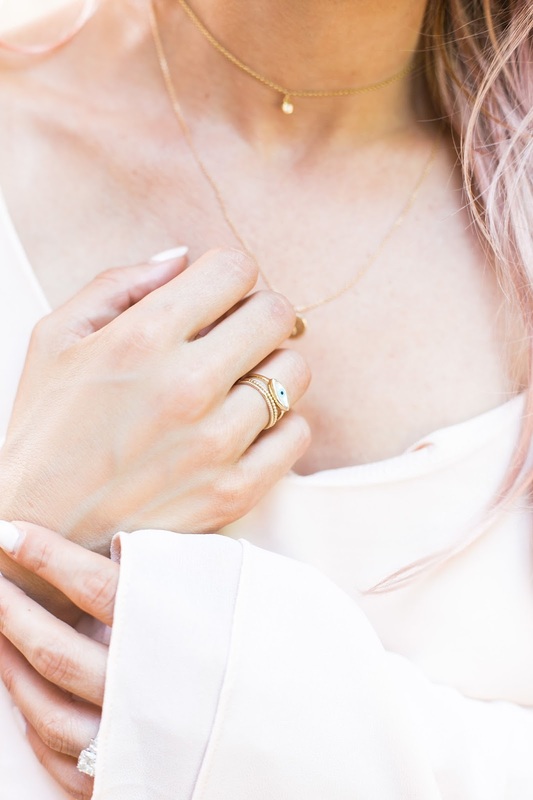 Now, after years of blogging, I find myself in the completely opposite position as someone who has been in the industry for years and is watching a whole new wave of new bloggers join our community. Rather than feel threatened, I embrace the change. I know that these new girls and guys will continue to raise the bar for quality, and push the industry to work harder. As creative people, we should welcome anything that challenges us to create and keeps us from becoming complacent. So my point to this long, convoluted post is to be nice to new bloggers. Celebrate them and welcome them into the community that has welcomed us. Smile, be kind. I would never want to make someone feel like I did when I first started. We're stronger together. What do you guys think? What was your experience when you started blogging? Do you like these more personal posts - I'm very curious to know! Do you guys have those beauty products that have been a part of your routine for what seems like forever? That's what Infusium 23 is for me. I don't remember exactly when I started using the Infusium 23 leave-in treatment but I was young and it was given to me by my mom, who used the product religiously. Back then my only hair worry was tangles from swimming or playing outside, and the Infusium 23 leave-in treatment allowed me to comb through my hair tangle - and tear - free. Fast forward to today. My hair has definitely changed, due 100% to my own decisions to bleach, process, and heat my mane to oblivion. You guys may have noticed that I've been experimenting with pink colour, which definitely has been fun for the summer but has left my hair even more dry than usual. While tangles aren't my number one hair problem any more, the one thing that hasn't changed is my love for Infusium 23. 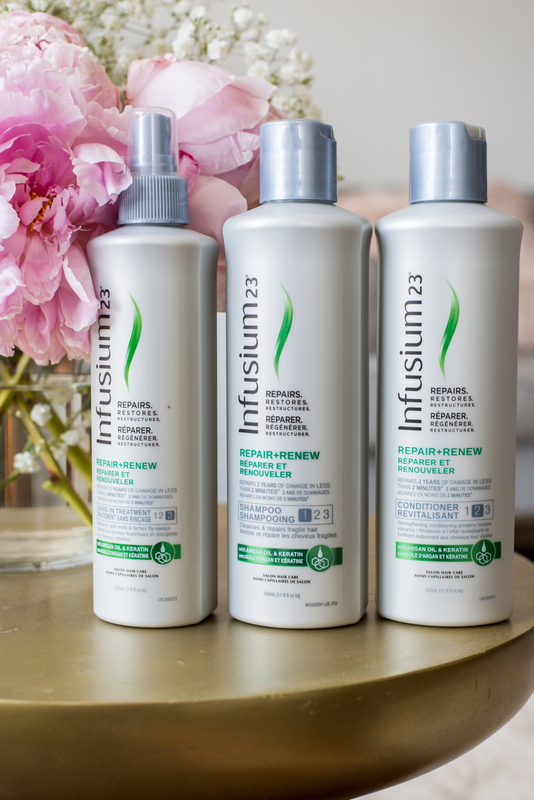 I look to the Infusium 23 Repair + Renew line to address my hair needs now, which has been formulated specifically to help strengthen weak and brittle hair. 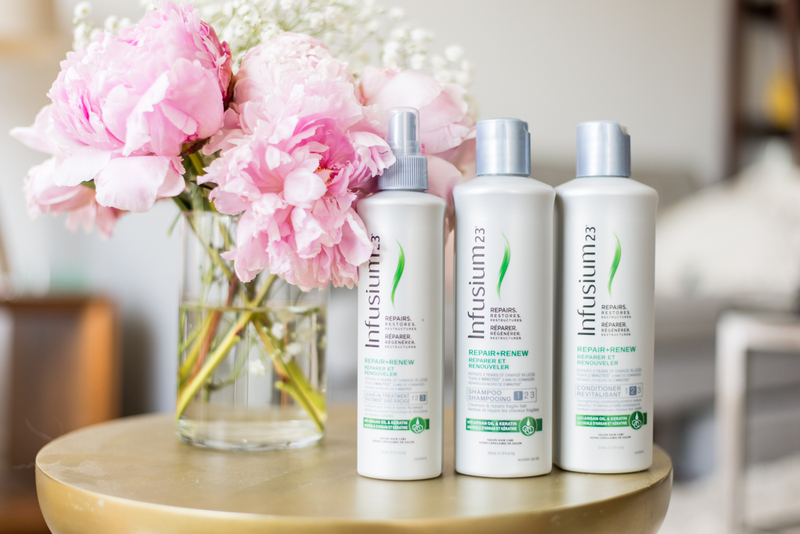 As with all Infusium 23 products, which have been formulated with 23 hair-healthy ingredients to repair damaged hair, the Repair + Renew line has been infused with Hydrolyzed Keratin and Argan Oil. While previously I had only used the leave-in treatment, I've been seeing better results by incorporating the shampoo and conditioner into my routine now. If your hair isn't as damaged as mine and dry, dull hair is more of a concern then definitely check out Infusium 23 Moisture Replenisher. The Moisture Replenisher is another 3-step system that is designed for dry and dull hair, and is infused with Avocado Oil and Olive Oil. 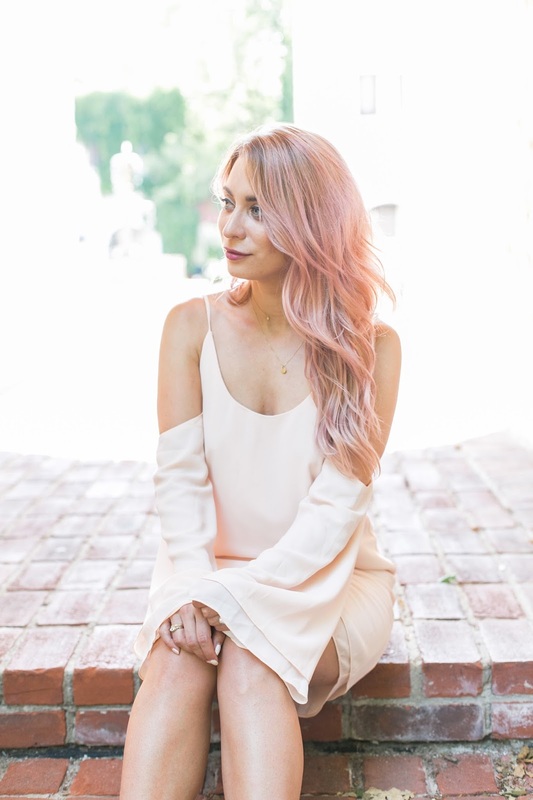 I've definitely noticed a definite trend this summer for fun-coloured, pastel hair which I have been happy to participate in! 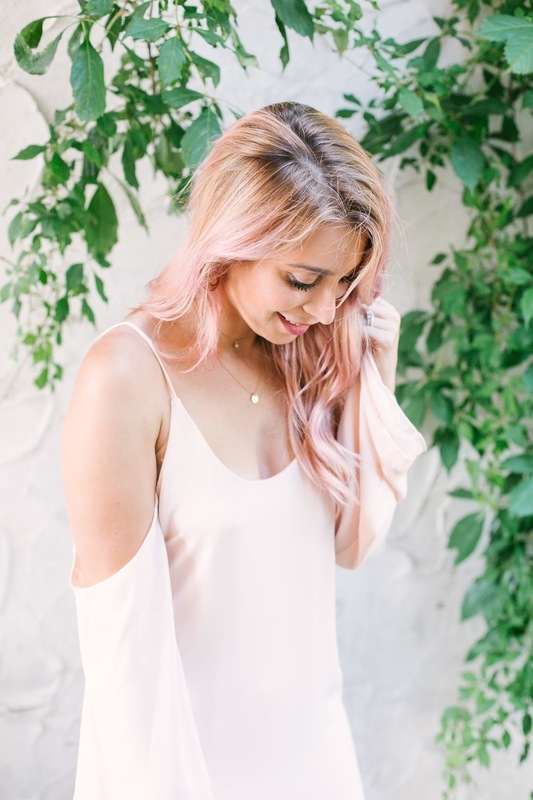 Although I love my blush-pink locks, it's definitely taken a toll on how dry and damaged my hair has become. If you're experimenting with hair colour this summer, definitely give the Infusium 23 Repair + Renew system a try. While I definitely have more hair issues now then just tangles now, I'm thankful that there's a a product like Infusium 23 that has helped with through all of my crazy hair stages. If you're interested in trying this line for yourself, the Repair + Renew and Moisutre Replenisher lines have a deal where you get 35% more for the regular price until the end of July! You can also download this printable coupon for $1 off any Infusium 23 product. What do you guys think? Have you ever tried Infusium 23? Is there a beauty product that you've been using since forever? Let me know! This post was created in collaboration with Infusium 23. All oppinions and experiences are 100% my own. Having just come off of a sunny European getaway and with a few more trips on the horizen, it's official - I am addicted to summer getaways. It's no secret that I love travelling, but this has been the first year that the bulk of my trips fall within the summertime. 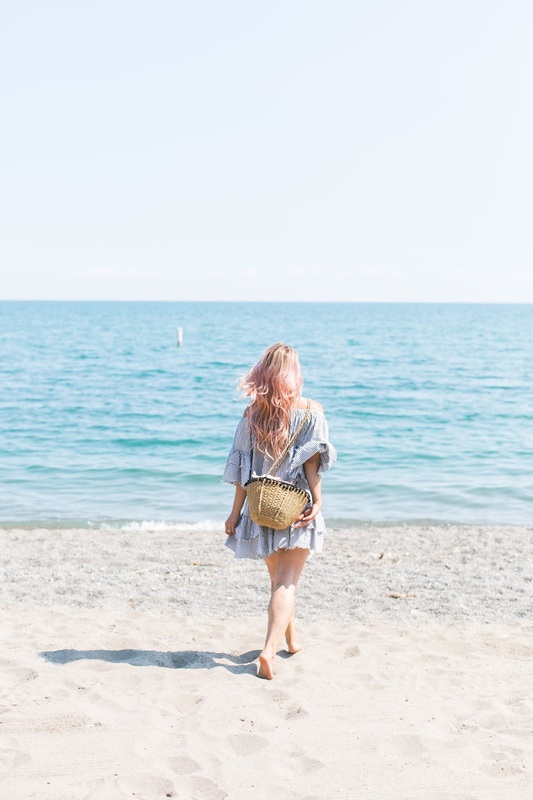 I've learned that travelling in the heat of summer can make packing tricky, but through trial and error I've come up with a list of essentials that will enhance every summer getaway. 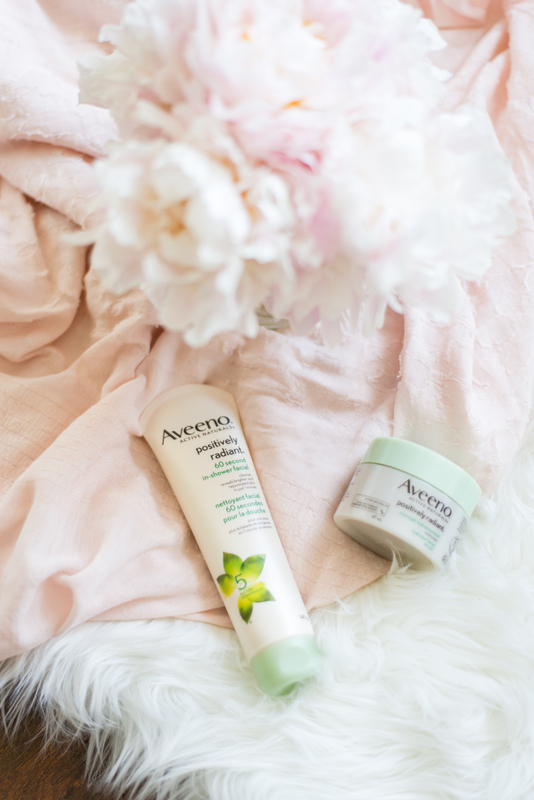 Luckily for me, I was able to find every item while shopping at Upper Canada - it's so refreshing to be able to find everything that you need at one stop! 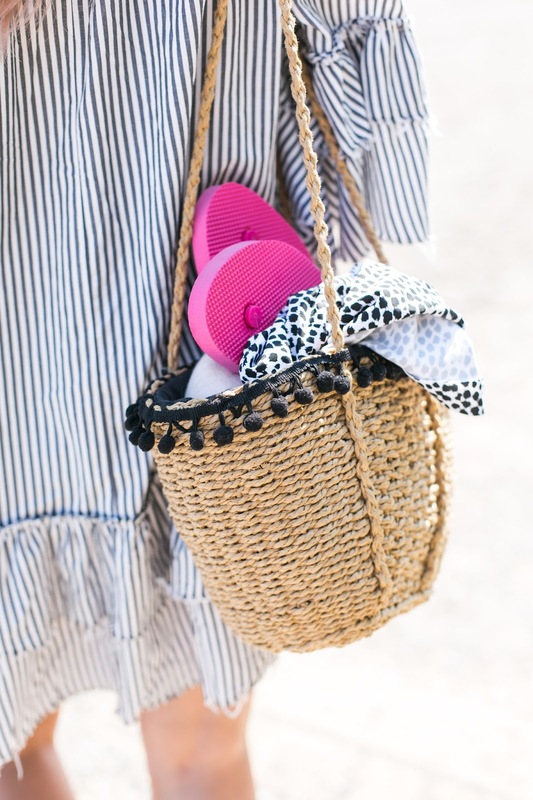 Without further ado, here's a list of summer getaway essentials that definitely need to be packed into your suitcase. First things first, you need a summer bag. Myself, I'm usually drawn to leather bags in classic shapes but that all changes when you're travelling in the summer. I love straw or wicker bags that add an earthy element to your outfits, and can act as double duty from beach to city. This mid-sized straw bag that I found at Zara is really the perfect size; it's large enough to fit all of my essentials, including beach gear, but is also small enough to transition into a city bag. 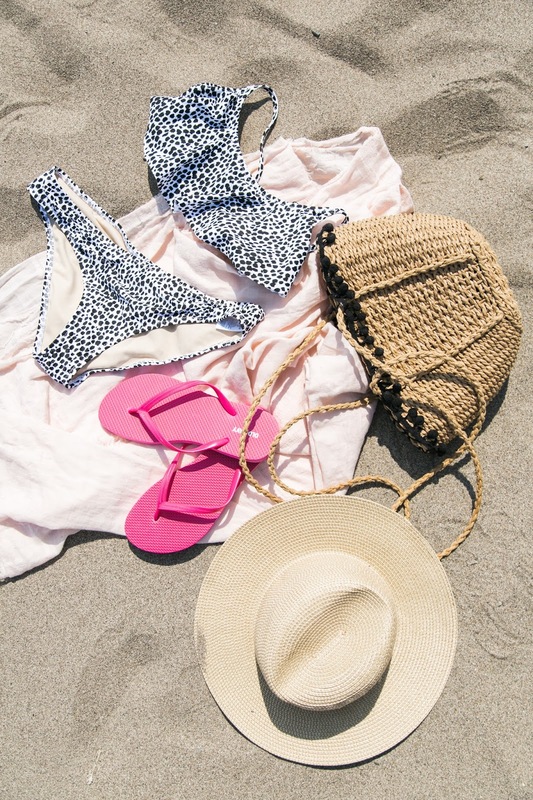 Next up are beach essentials. I always check Old Navy first when I'm looking for cute bathing suits and flip flops; there's always a lot of variety and you really can't beat their prices. I've learned that even if I don't plan on visiting a beach during my trip, its always a good idea to pack flip flops - they're nice and simple to slide on and off, and come in surprisingly handy when your hotels or Airbnb don't supply slippers. A lightweight scarf is another essential, that is surprisingly multifunctional. I picked up this blush pink scarf from Zara and it will come in handy as a blanket or pillow on a plane, to keep warm on cooler nights and even as a beach cover up! 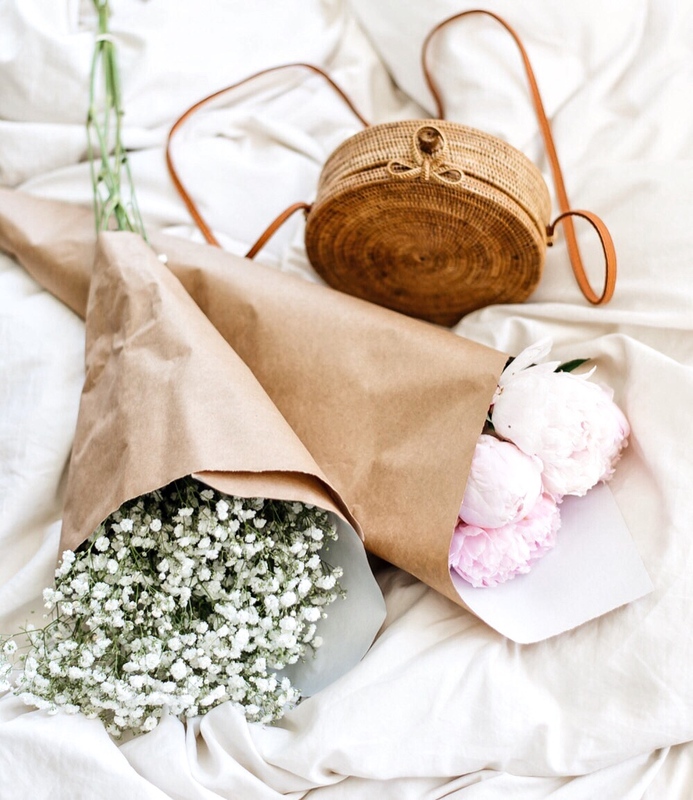 Having a hat when travelling in the summer is essential; not only does a hat protect your face from the sun and help to prevent over-heating, but they can also be a cute addition to your outfits! This straw hat from Artizia is perfect, and very lightweight! Now shown here, but you can probably tell from the overnight glow I have developed, I have learned that a good self-tanner is definitely an essential when heading on a summer getaway. I picked up Josie Maran Argan Liquid Gold Self-Tanning Oil from Sephora, and it is one of the best self-tanners that I have ever used. It's a quick-drying oil that smells great, and makes you look like you've already spent a week at the beach - without damaging your skin with the sun. 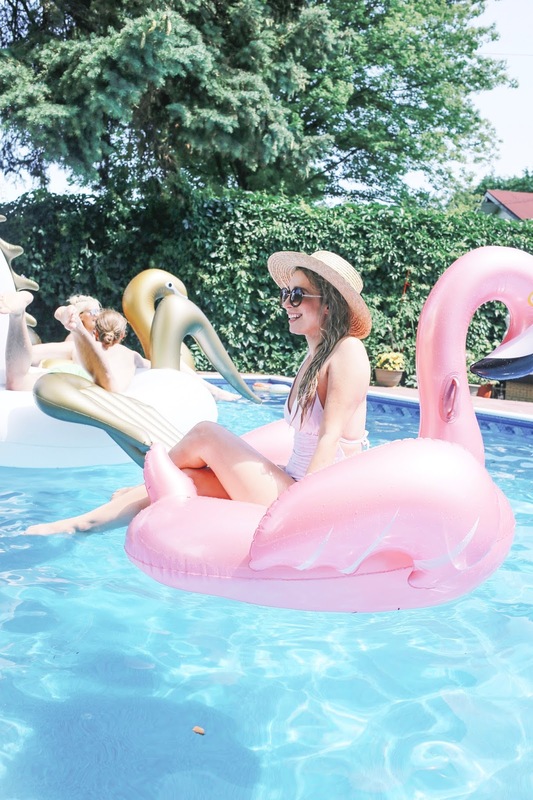 I hope you guys like all of my summer getaway essentials that I picked up at Upper Canada! Do you have any exciting getaways on the horizon? What do you consider an essential that must be packed in your suitcase? Let me know! This post was created in collaboration with Upper Canada. All thoughts and oppinions are 100% my own. Amazon Prime Day is officially here! Today is the day to to shop literaly tens of thousands of deals on Amazon.ca, available exclusivly for Prime members. Not an Amazon Prime Member already? No worries, you can always take advantage of the 30-day free trial - just in time for the deals! There's so many deals going on today in every category, it's defintiely worth heading over to Amazon.ca to check it out! In the meantime, here's a list of my favourite deals and what I may or may not already have in my shopping cart! I am a total ereader convert, ever since purchsing my first one years ago for a beach vacation. They're amazing for traveling, and great for reading poolside or at the cottage. Kindle is an amazing brand, and all of the books available to download are at a really reasonable price. If you haven't tried an ereader yet, and enjoy reading for pleasure I highly reccomend picking up this Kindle. You guys know that I'm obsessed with traveling, and as someone who's travel style has evovled substacially through the years, I can attest to how important having good luggage is. Investing in luggage can make all the difference in how comfortable you are at the airport or between destinations, and even how much you can pack! Check out these Samsonite deals - now is the time to get that amazing carry-on that you've always wanted! Ummmm... what?! I don't think I have to explain why $25 back with a luxury beauty purchase of $50 is so amazing. My poor, over-stuffed beauty storage is already afraid! Now is a great time to stock up your summer wardrobe, or get a head start on fall necessities. Myself, I've been bathing suit crazy lately - especially for one-piece suits. This adorable polka-dot swimsuit is definitely coming home to me - and the best part is with Amazon Prime, I'll have it in time for the cottage this weekend! I could literaly go on and on, but instead of boring you with my never-ending shopping list I defintiely encourage you to go and check everything out for yourself! Amazon Prime Day only happens once a year, and I plan to take advantage.